The Traveling Exhibitions program features selections of drawings, prints and photographs from the Arkansas Arts Center Foundation Collection. These exhibitions typically contain 18 to 30 artworks selected by the curatorial staff. These exhibitions contain educational components which make them ideal for use at regional arts organizations and universities. Fee support is available. Contact info@arkansasartscenter.org for details about lighting and security requirements, pricing and availability. Click the Menu Below and Bring a Traveling Exhibition to Your community! 1. How to bring a Traveling Exhibition to your area! • You must have a gallery-type exhibition space with limited access, moderate security, proper heating/humidity controls, and appropriate lighting. The space must be approved by the Arkansas Arts Center. Please inquire for details or click below to fill out a facility report. 2. It's affordable and there are ways to reduce your fees! •In-state $1,000 per month; $500 for each subsequent month, plus shipping/delivery fees. •Out of state $2,000 per month; $500 for each subsequent month, plus shipping/delivery fees. 3. You will receive additional resources for the exhibition! • Framed works will be provided from the Arkansas Arts Center Collection. Text panels will accompany each exhibition and each work within the exhibition. Also, press information will be provided for local publicity of your tour. 4. It's easy to book! •Simply contact the Statewide ArtsReach Program by phone at 501-396-0376 or 1-800-264-ARTS or via email to schedule dates and times. An annual tradition at the Arkansas Arts Center for over forty years, this exhibition brings a taste of the New York gallery scene to Little Rock. The show is organized to encourage local collecting by presenting a variety of works on paper in all media from more than 20 New York galleries. All works are selected by the Arkansas Arts Center Director and Curators. Inez Whitfield illustrated more than 400 species of Arkansas wildflowers, of which 376 remain and are owned by the Arkansas Arts Center. Whitfield painted each plant to scale in watercolor, identifying the scientific name, common name, and the month and season of bloom. This exhibition of 30 watercolors honors Whitfield’s contribution to the documentation of the state’s abundant flora while also honoring her legacy as a community leader. The prints that make up Poet in Copper are drawn from the Arkansas Arts Center's collection of over 225 works by the natural state's Artist Laureate for 2013-2017, Evan Lindquist. 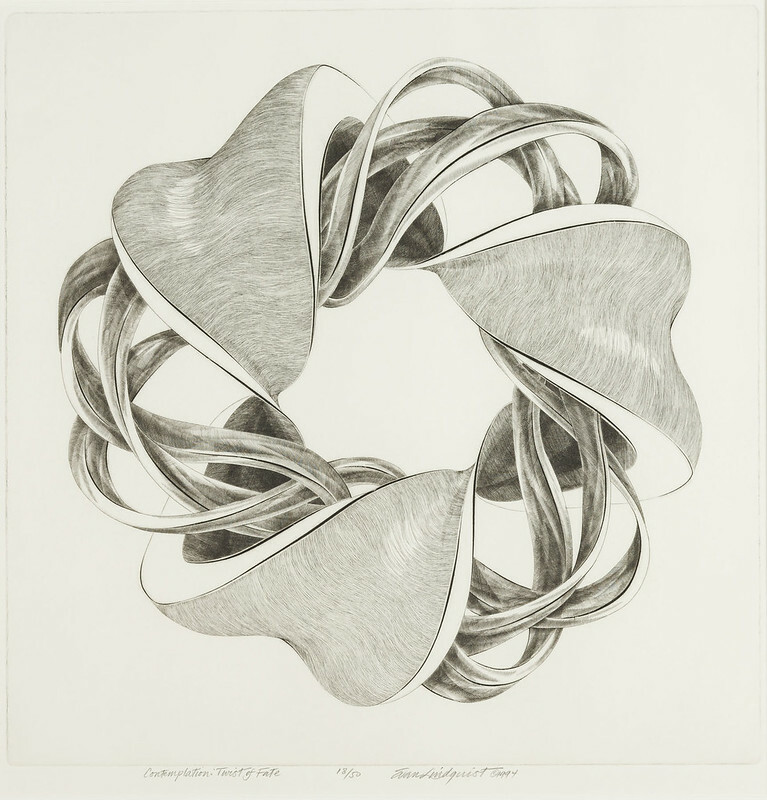 Lindquist, a master printmaker, became one of the most important forces in Arkansas graphic art during his forty years teaching printmaking and drawing at Arkansas State University until his retirement in 2003. His lyrical engravings have explored abstract imagery, music, portraiture, landscape, satire, architectural fantasies, and the history of printmaking, among other subjects. This exhibition includes images from throughout Lindquist's long, passionate career in art.